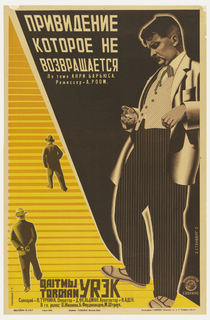 Vladimir and Georgii Stenberg were major innovators in the field of modernist graphic design. 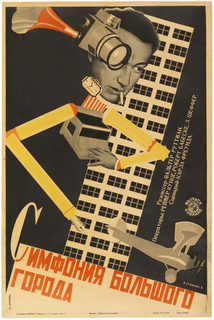 Vladimir and Georgii Stenberg were born in Moscow in 1899 and 1900, respectively. They attended the Stroganov School of Applied Art and took classes in military engineering. In the early 1920s, they joined other artists, including Alexander Rodchenko, in an exhibition of constructivist sculpture and painting. The Stenbergs’ contributions were non-objective sculptures of glass, metal, wire, and wood, showing lines and planes floating in space. 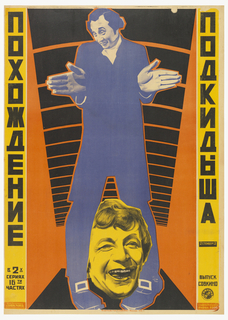 Their earliest graphic design efforts were for the theater, which the Soviet state supported as a powerful propaganda tool. They provided inventive and graphic costumes... more. We have 3 objects that Vladimir Augustovich Stenberg has been involved with.